Now that summer is officially here. It’s time to make sure that you’re looking your best and if that means having same defined and noticeable muscles then you’re in luck. 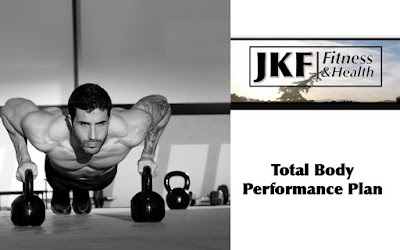 We recently launched our Total Body Performance Plan. It’s multiple weeks of workouts to help get you into amazing shape. Today we’re highlighting Week 3 of the Program - Strength and Build. The Focus for this week is on working specific parts of the body to maximize strength and size gains in your muscles. Why are we doing this? Because Arnold says so. It’s time to channel your inner body builder. Their methods may be extreme, but their results can’t be argued. This is group of people who know how to make muscle. -Sets and Reps numbered to improve muscle strength and size. Not only will you get some genuinely covetous muscles built to be ogled, you’ll have the added bonus of having more muscle to burn more fat. Meaning you can either lean down with the right follow-up workouts or enjoy the added leeway you have in your diet for some good summer eating.